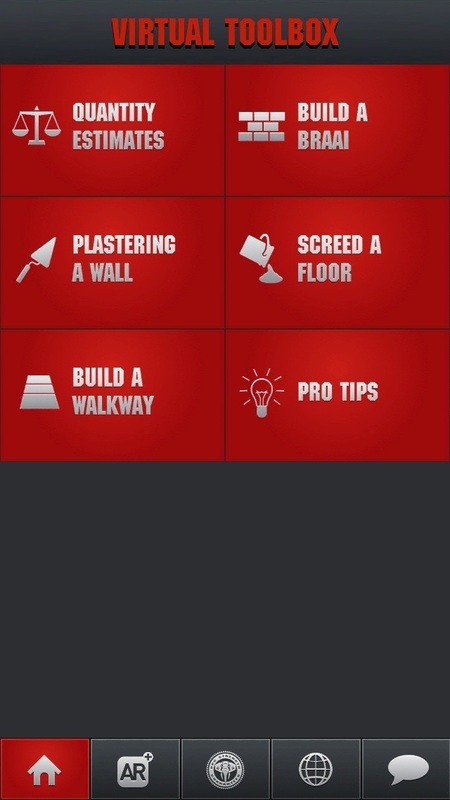 This prototype app was developed for Digital Solutions Group (DSG), with PPC Cement being DSG's client. It allows quick access to building simple structures such as a braai, , wall walkway etc and shows a breakdown of quantity estimates to mix different consistencies of cement. 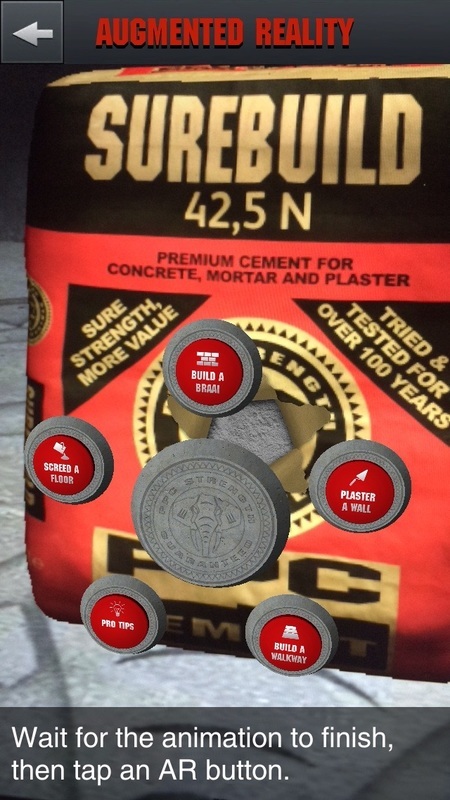 It also has some AR WOW!-factor when scanning the front of a PPC cement bag. 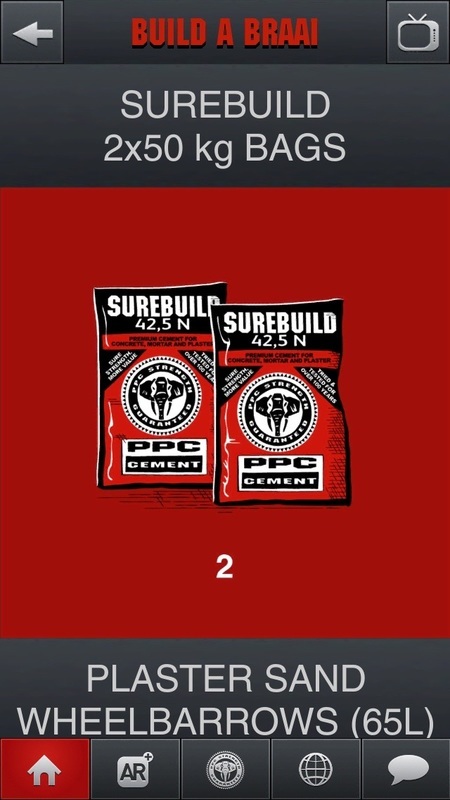 When scanned, the front of the bag bursts open, cement forms the PPC Logo in cement and quick link buttons building instruction then appear.